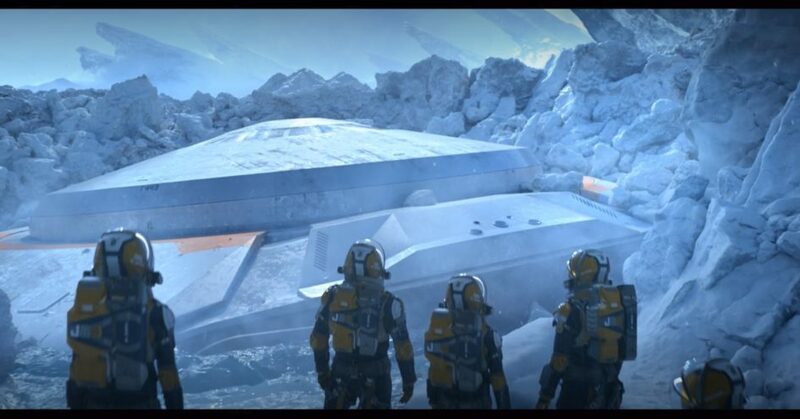 The new Lost in Space series on Netflix should be a lot more interesting than it is. The casting is great. The TV show is visually amazing. The special effects are fantastic, considering this isn’t a movie. Unfortunately, this show loses momentum about three or four episodes in. So, what gives? On the surface, this series looks stellar. Netflix revived a show from 1965 and gave it the sheen of special effects, similar to what J.J. Abrams did in the recent Star Trek movies or what CBS did for the new Star Trek series. But instead of intentionally discovering strange new worlds, this story is essentially what would happen if the Swiss Family Robinson crash-landed on an alien planet, instead of an island. The parents are expertly played by Toby Stephens (who was great as Captain Flint in the Treasure Island precursor show, Black Sails) and Molly Parker (who was terrific as The Widow Garret on Deadwood). The mom and dad have two teenage daughters and a young son. 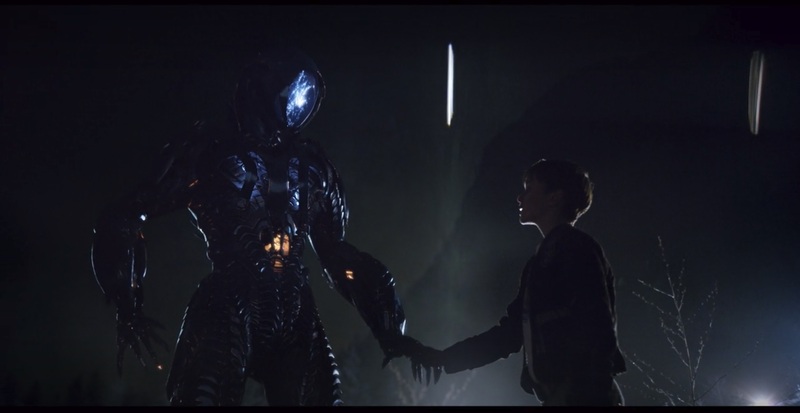 The son, Will, befriends a robot on the alien planet. OK, honestly, that line is about the extent of my knowledge of the original series. But what an iconic line. My brother would sometimes jokingly say that line to me as kids, when we were about to get into some trouble or we were contemplating some mischief. The family is also joined by Dr. Smith, who is always up to no good and is often on the verge of getting into trouble. A friend of mine had told me that he was intrigued that they had cast Parker Posey in the role of Dr. Smith and it made him want to watch the second episode. After hearing him say this, I was on board to watch at least the first few episodes of Lost In Space. I think Parker Posey always makes for a good secondary villain. Say what you like about the third Blade movie, but I liked her in her role — even if part of that came from the humor of Ryan Reynolds berating her ridiculous hairdo. She also made for a good secondary villain to Lex Luthor in Superman Returns, but I don’t think she makes a good main-villain and her character of Dr. Smith certainly doesn’t generate near enough conflict in the show. Aside from the usual family drama, much of the conflict is of the man vs. nature variety, but there’s not enough of it. On this unstable planet, there’ll be one or two natural disasters per episode that the family will have to overcome in their continued effort to get their little spacecraft off the planet and rejoin the main spaceship off-world. However, when each episode is an hour long, it’s little wonder why the show starts dragging after several episodes in. It also doesn’t help that most of these problems are solved through the deus ex machina of using Will’s robot to solve the problem. Yes, there’s the clever way that the mom and dad escape the tar pit in the seventh episode, but there’s not enough of these moments in the 10-episode run. Unfortunately for Netflix, we now live in a world where the cinematic masterpiece The Martian exists. There were times when I’d be watching Lost in Space and I’d think, “How would Mark Watney (Matt Damon’s character) solve this?” And I’m not just talking about the stuff in the movie. 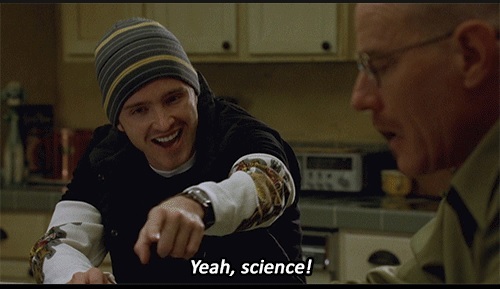 Some of the problem solving in the book is so genius, so clever, that I’ve gone back and re-read sections, even entire chapters… and I don’t even like science! 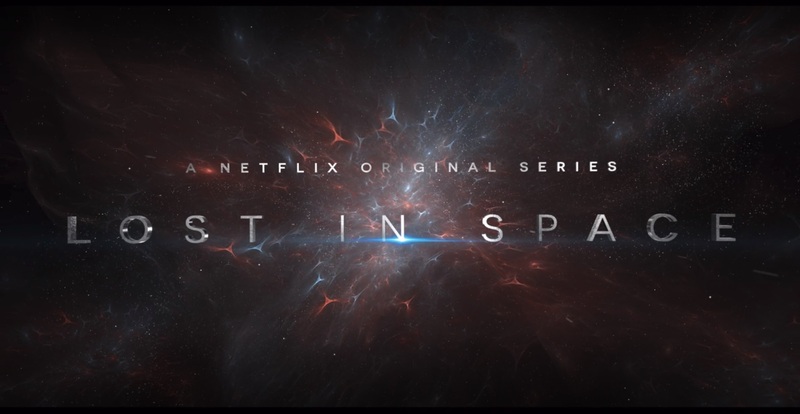 Maybe Netflix should have paid author Andy Weir to consult on the scripts for Lost in Space. It was then that I realized that the problems with this show might lay in its writing. The writing credits for the series’ scripts are all over the map. There seems to be credit for a different writer about every episode and most of them I can’t find additional writing credits for. Zack Estrin is the showrunner and seems to have written a lot of episodes of Prison Break, but is that really the guy to hire for a sci-fi family drama? Additionally, Matt Sazama and Burk Sharpless wrote the first two and final episodes of Lost in Space. They did write the script for Dracula Untold, which I liked and thought Universal should have retroactively used to launch their Dark Universe after the flop that was The Mummy. However, they also wrote the scripts for Gods of Egypt, The Last Witch Hunter and the new Power Rangers movie. Talented actors (who I’ve enjoyed in other shows and movies) like Toby Stephens, Molly Parker and Parker Posey can only do so much with the dialogue they’re given.